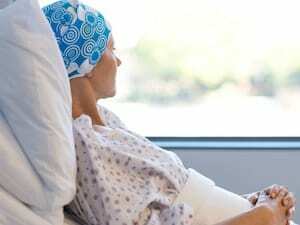 THURSDAY, May 3, 2018 (HealthDay News) — Testing for small changes in the flow of lymph fluids after breast cancer surgery can spot the start of a painful swelling known as lymphedema before it becomes hard to treat, a new study suggests. Often, lymphedema isn’t diagnosed until swelling becomes obvious, when it can’t be reversed, study author Dr. Lyndsey Kilgore explained. “A woman may not notice the swelling yet, but the whole point is we’re detecting it sooner so we can intervene sooner,” said Kilgore, a resident in the department of surgery at the University of Kansas Medical Center. “If women know we can detect lymphedema sooner, it will probably ease a lot of patients’ minds,” she added. Swelling results when lymph vessels can’t carry fluid away from the area, and it can lead to decreased range of movement and infection on the affected side. The more lymph nodes that are removed during breast cancer surgery, the more likely lymphedema will result. Historically, rates of breast cancer-related lymphedema in high-risk patients — defined in the study as those who underwent lymph node removal and radiation and/or chemotherapy — range from 20 percent to 40 percent, according to Kilgore. Forty-nine of the patients, or about one-third, developed “subclinical” lymphedema — before noticeable symptoms. These women started home treatments that included wearing a compression sleeve garment and self-massage over four to six weeks. Post-treatment measurements were taken to evaluate improvement. Kilgore said the $3,500 testing device requires sticky patches costing about $60 per patient that help measure lymph fluid during testing. Her hospital is reimbursed an average of $115 per test by private insurance companies — though the actual procedure costs more — and Medicare reimburses similarly, she said. The study was scheduled for presentation Thursday at the American Society of Breast Surgeons annual meeting, in Orlando, Fla. Research presented at scientific conferences typically hasn’t been peer-reviewed or published, and results are considered preliminary. The Susan G. Komen Foundation offers more on lymphedema.